Tree Surgery & Gardening Islington N | Quality Property Care Ltd.
Quality Property Care Ltd. is available for your orders 365 days per year - including in weekends and national holidays. Contact the kind and courteous garden maintenance customer help associates right away to get more info. Make use of this phone number 020 3746 4287 in a most effortless for you time! We'll be ready for your call up and request! Whether you don't have time, or your garden hasn't been touched and maintained for years, the skilled and determined gardeners come to assist you right away. 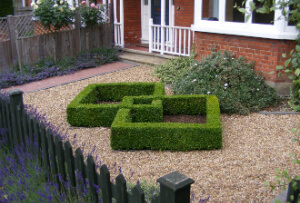 All homeowners, tenants and landlords are welcomed to order the rapid, secured, eco-friendly and efficient garden design and maintenance in Islington N. Our reputable garden service company Quality Property Care Ltd.guarantee you complete client help and perfect final outcome. Call the gardeners Islington and receive the perfect offer for your home exterior. Being part of the garden clearance services, up to 180l of green waste will be taken away for free. The remaining waste will be taken out upon request with an additional charge. This will keep your garden perfectly clean, arranged and with healthier plant life. So, whatever assistance or advice you need in regard to your lawn, garden, patio, do not think twice to reserve the expert services of the professional gardening company Quality Property Care Ltd. today! Quality Property Care Ltd.expert gardening company in Islington N has been gardening business for 11 years. We always talk about that our good results are due to the big enthusiasm we`ve got to advance our services and to make all customers delighted and satisfied. 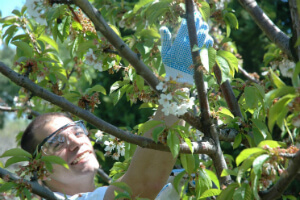 At the moment, our expert garden maintenance services have been used by more than 14 000 happy clients. That would mean thousands of lawns kept in a pristine condition. We do offer lawn care & mowing - fertilizing, patches, reseeding, watering edging, and also special fall months & springtime lawn care like lawn repair, lawn scarification, lawn aeration and lawn feeding. Typically our service covers the upkeep and developing of entire gardens, with special work for lawns, tree surgery, lawn mowing and care, patching, reseeding, fertilizing, watering, trimming, weeding and weed removal, tree pruning and ivy removing of up to 12 feet in height for trees. It’s also likely to remove entire trees, up to 12 feet in height. We can prune shrubs, trim hedges, perform garden clearance and leaf clearance with up to 180lb of garden waste free of charge. Extra clearance weight will be billed accordingly, and you are going to be notified beforehand. We collect and dispose of up to 180lb in garden waste and remove it ourselves. Quality Property Care Ltd. is so dedicated to bringing fantastic end results, that our service is available seven days a week even if the weather is terrible. We come fully set up with a wide range of materials and devices from lawn mowers to hedges trimmers, aluminium ladders, jet washes, grass trimmers, chain saws, shovels, scissors, hammer, brooms, tarmac, moon spade, weeding tools, weed kill equipment and electrical extensions. We do not expect you to provide anything so don’t be anxious about finding the appropriate tools - we come all geared up! Pick up your phone and dial 020 3746 4287 where our crew of devoted client assistance agents will certainly take care of everything from booking to informing you on our service. Get in touch with us any time, you could call us at any time.